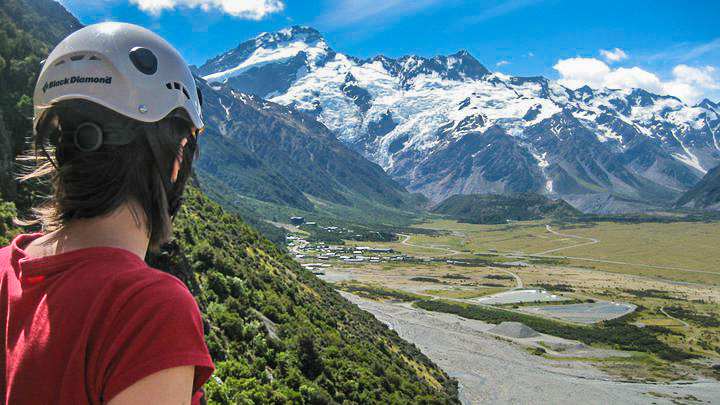 Our Mt Cook trips are 2 day climbing excursions with a night spent at the NZAC Unwin Lodge in Mt Cook Village. · Learn the multi-pitch system and climb the "Red Arête". This route is the second longest at Sebastopol Bluffs. Technical slab and face climbing on hard, red graywacke. Astounding mountain views and that classic multi-pitch "are we really UP here?" feeling, make this route a must do!